Gunny Wolf from SemperToons has created this cartoon that features a funny moment of miscommunication between a Marine and a Platoon leader while at battle. 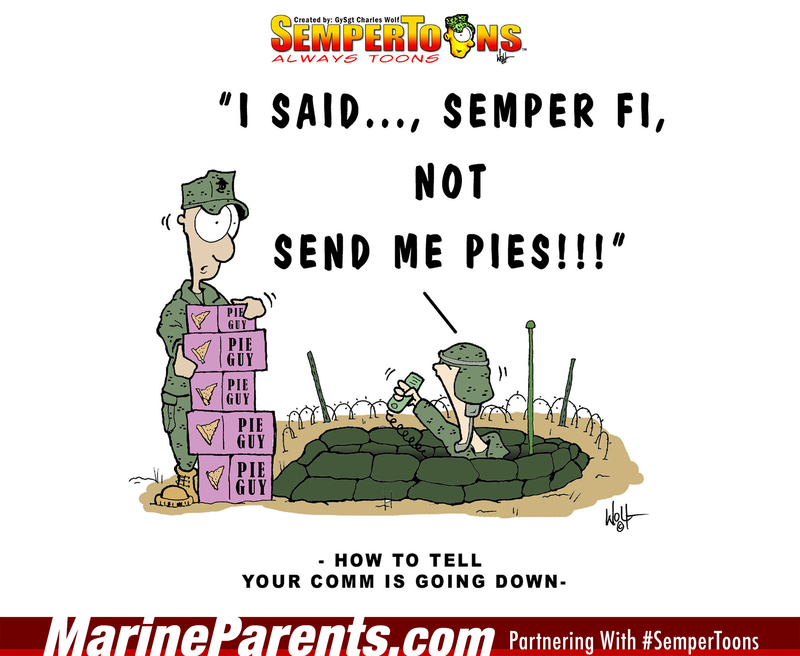 The Platoon leader yells at the Marine, "I said Semper Fi, not send me pies! ", while the Marine stands confused behind a stack of pies in boxes. Shop Send Pies SemperToons at the EGA Shop.